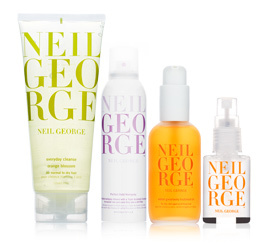 Neil George | Luxury products for hair and body. You read that right. 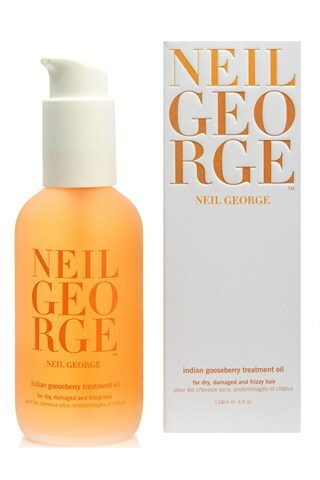 Our biggest sale of the year is going on now through Sunday, January 27, only at NeilGeorgeShop.com. Get 40% OFF everything, no coupon code required! We won’t have a sale like this for the rest of 2013, so stock up now! And per usual get FREE ground shipping on all orders over $60! Happy shopping! Of all the things on the to-do list when getting ready for a night out–the hair, makeup, nails, outfit–you may spend up to half an hour (or more!) blow drying your hair, especially if your hair is extra long and thick. That really is a long time to be spending on just getting your hair dry, not to mention the time it takes if you want to curl your hair too. Solution? You can cut your blow dry time by up to 50% by using one of our Pure Shot: Intense Repair Treatments. Our Pure Shot helps to condition your hair while reducing blow dry time, lessening the chance of drying it out and damaging it from heat exposure. Genius! And your silky, smooth locks from the treatment last over several shampoos. From the 2013 Critics Choice Awards – the new glam of old Hollywood. What doesn’t go better together than simple waves, a side part, and red lips? Bronde – the in-between of brunette and blonde, no one does it better than model Doutzen Kroes.